Highly recommended Shipping & Yacht Services agent based in Venice, Italy, who has great experience & knowledge in the yachting industry, shipping, logistics and with the local Port and City of Venice. No one better to contact for anything! 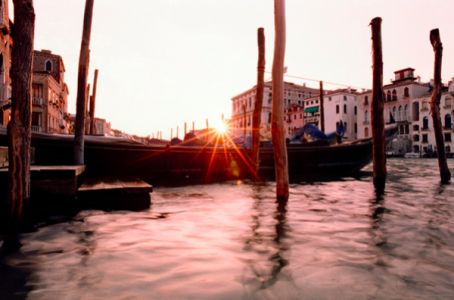 With offices also in Naples and Venice, All Services today has a substantial following. Started 30 years ago by Alessandro Sartore, a registered ships agent, their services include all the usual yacht services. For moorings in the Cala di Volpe you need to use this efficient company. A full-fledged yacht agency with all the usual services, from assistance at sea to spare parts to berth reservations, emergency repairs and provisioning. They cover the Amalfi Coast and the entire Tirrenian Sea. Mansueto Service offers a complete range of services to Captains and crew, allowing them to rely on experienced staff for 360-degree assistance in any situation: linguistic services, translation, customs and port formalities, shipping (sending / receiving), storage, and more through their specific departments. San Remo, Portosole, Imperia, Monaco, Palma & Fort Lauderdale With offices in the MED, MED Yacht Services are efficient, dynamic with a young team. Offering all the usual yacht agent services and can source any spare parts. English speaking. From their main facility in Olbia, where they have a provisioning warehouse and a store of supplies and spares, Nautica Assistance are well renowned for taking good care of visiting yachts. They offer all of the usual yacht agent services and more from their bases on the island.